Attunement is our ability to be aware of and respond to our child’s needs. It is deeply connected to emotional attachment. Some children may have a very different temperament than that of a parent, or may not communicate affection in the same way, which can interfere with the quality of their emotional relationship. Parents can use a variety of techniques to increase their level of attunement. Attunement starts with meeting an infant’s basic needs for warmth, food, sleep, safety and love. The gentle touch and voice used by a caregiver builds a child’s sense of security. 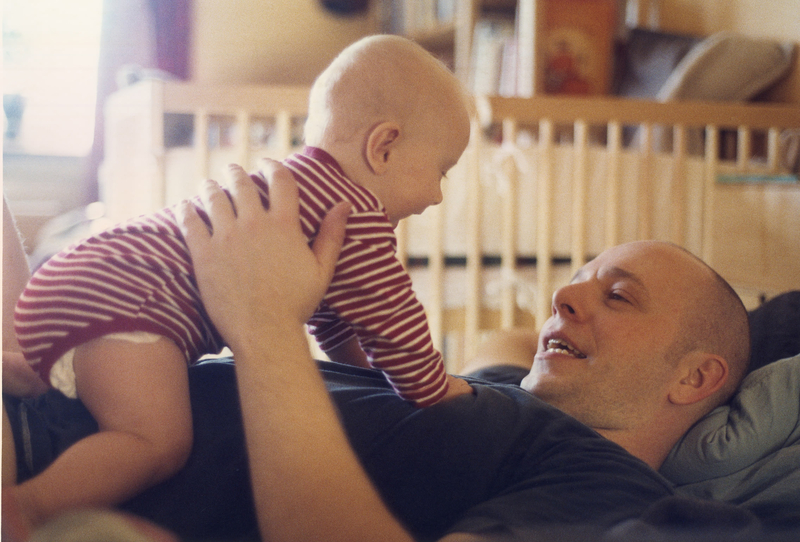 A parent can pay attention to how their child feels by looking at how their little one responds to stimuli (e.g. likes to be touched firmly rather than softly, likes soft lights instead of bright lights, or doesn’t tolerate crowds). They can also look for and respect their child’s natural rhythms (e.g. needs to eat every 2 hours, needs naps every three hours, or needs a set bedtime schedule). Kids will thrive on structure and routine. Food is another area that can affect a child’s wellbeing. It’s helpful to pay attention to how food (especially new foods and additives) affects them—if you suspect a food allergy or sensitivity, speak to your pediatrician. Food allergies can cause a child to be fussy, overly tired, or hyper. Children need your help to understand their own emotions. Mirroring and emotional labeling are techniques used to help children make sense of their feelings. They often respond to non-verbal communication first. If a child hurts himself and you respond with a big smile when he looks to you for comfort, you are unwittingly confusing his emotional lexicon. It is best if your face reflects the emotion they feel inside, followed by a label, such as: “Ouch! That hurts!”, and then reassure him. Children especially need help with strong emotions such as frustration and anger. A phrase like, “You’re mad! It’s hard to share your toys,” along with a facial expression reflecting his emotion, will go a long way to reassure him that emotions are part of normal life and therefore don’t have to feel unsafe. As they get older, you can help them to communicate more complex feelings. Stories and narratives are key to emotional intelligence and communication. They help kids build empathy, and understand choices and consequences. Your children learn from hearing how others experienced a situation. The more you read and share your own stories with your child, the more they will understand themselves and others. Stories and narrative also help them learn to communicate how they feel. Make discipline about their actions, not them. Kids need fair rules and consistent consequences. Tell them exactly what they did wrong, and why it was not acceptable. The consequence should be tied to their actions, not failure to meet your expectations. You should also sound firm, but not angry. The minute a child hears the anger in his caregiver’s voice, he is too busy dealing with his fear response to hear the lesson at hand. Our society is very focused on goals and milestones, but it is the small stepping stones in between that make the experience memorable. Your child may have her limits but she tries hard every day. Take a moment to honor that, and praise her effort instead of the result. This helps create the foundation for respect, self-worth and resilience. It also helps you accept your child for what she is capable of doing in that moment. And finally, attunement is built through respect: physical, emotional and spatial. We have covered parenting techniques to improve attunement to your child’s emotional and physical needs above, but what does respecting their spatial needs mean? It means letting go of your worries, letting your children have their space, and allowing them free-unstructured playtime and quiet time. We all need space in order to grow. Kids learn from their mistakes, and being allowed to figure things out for themselves. They feel safer when their parents trust them to explore, experience and grow. We hope this article helps increase your understanding of your child’s individuality. CDI’s therapy team is great resource for parents who want to learn more about attunement, emotional attachment, mirroring, emotional labeling and parenting.